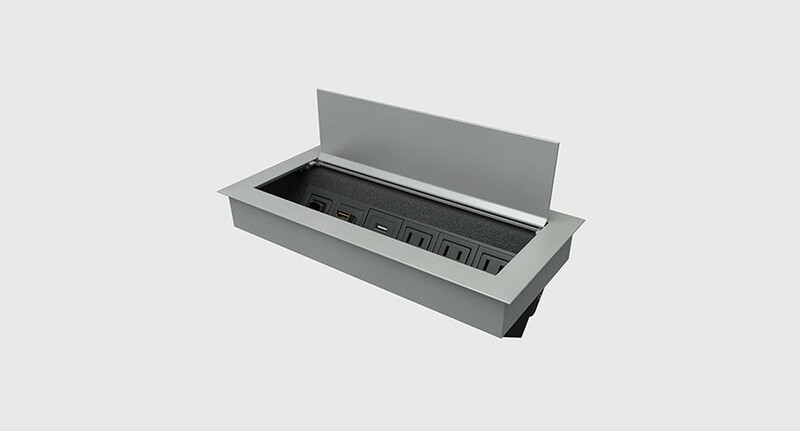 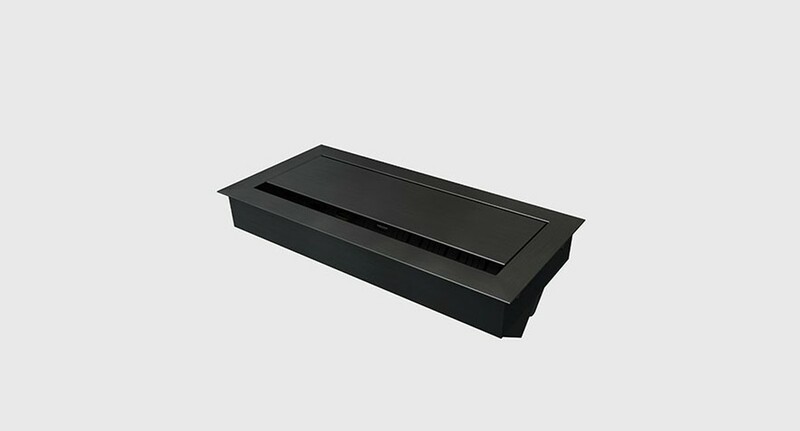 The Byrne Electrical Ellora is an in-surface table box that installs flush in the table, when needed lift the lid to expose your connections and connect your cables. 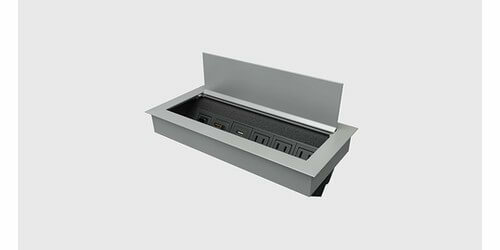 The top of the box features a small gap so that cables can remain plugged in with the lid closed, this creates a flush working environment and is also ideal for items that always need to be plugged in such as phones. 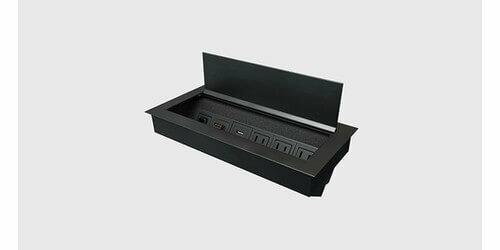 This unit comes with the following connections: 3 power with one 10' power cord, 2 charging USB (rated at 1A each), 1 18" F-F HDMI, and 1 data jack with 9' male end. The charging USB ports are integrated into the power in the box so no separate power cable needs to be plugged in. The unit comes standard in silver but can be upgraded to black. 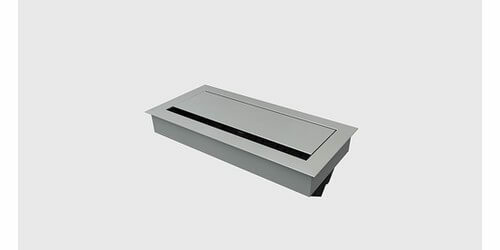 To install cut your hole and drop in the unit and secure with the included clips. Bezel dimensions: 11 3/8" x 5 3/8"
Cutout dimensions: 11" x 5"
Depth under table: 3 1/2"